KIEV Ukraine -- The World Bank and the IFC experts have acknowledged Ukraine's tremendous progress in simplifying conditions for doing business. Having leaped 25 positions since last year, the country is ranked 112 among 189 economies in the Doing Business 2014 report. Ukraine has implemented regulatory reforms for local entrepreneurs in eight areas out of 10 between June 2012 and June 2013. Ukraine has improved the most over the past year in making it easier to run a business, as indicated in the Doing Business 2014 report released by the World Bank and the IFC in October 2013. Other countries on the most improved list include Rwanda, the Russian Federation, the Philippines, Kosovo, Djibouti, Côte d'Ivoire, Burundi, the former Yugoslav Republic of Macedonia, and Guatemala. Ukraine's growth in the ease of doing business ranking started last year when the country jumped 15 positions to 137 from 152. In 2012-2013 Ukraine has advanced by another 25 positions to become the top improver. Interestingly, in the first quarter of 2013 foreign investors have invested almost USD 1.6 billion - 76 percent increase compared to the first quarter of 2012, as reported by the State Statistics Service of Ukraine. Ukraine received the highest ranking (13th place) for the ease of getting a loan, surpassing Brazil, and following Belarus, Kyrgyzstan and Russia. The biggest progress in the starting a business category Ukraine obtained by eliminating the requirement for registration with the State Statistics Service and by eliminating the cost for value added tax registration. The Eastern European country also simplified construction permit issuance and registration of real estate ownership rights. Despite considerable advancement, Ukraine lacks progress on such indicators as getting electricity, protecting investors, paying taxes, trading across borders and resolving insolvency, reads the report. 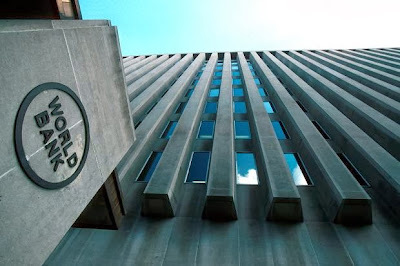 "We, at the World Bank Group, are encouraged by Ukraine's regulatory improvements in the past year. The country's ranking in this year's Doing Business report shows that a lot can be achieved in a short time when there is a political will for reform," said Qimiao Fan, World Bank Country Director for Belarus, Moldova and Ukraine. He expressed hope that the government would continue to further implement reforms.